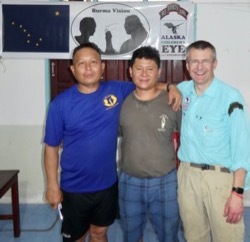 April 26- May 18 2017: Bob Arnold (Alaska) joins Chiang Mai FBR team (Jeff Wheaton, Matt, Peter, Soren, Chris, Nathan and Kay Say) pick up Nay Hser in MaeSot and travel with Moses' van and Pastor Paul's truck to Bung Klung. The new Cross Border clinic was dedicated after Eliya's expert construction supervision. 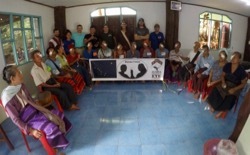 30 Karen cataract-blind patients received sight and 80+ got glasses. The Compassion children had dedicated program including art and Run for Relief. Nay Hser then traveled to Judson University in Elgin Illinois as guest of President Gene and Cindy Crume to receive an honorary degree. 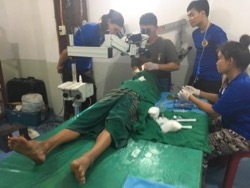 NayHser then visits Wisconsin and North Carolina and learns special ophthalmology in Alaska before returning to the Thai-Burma border.